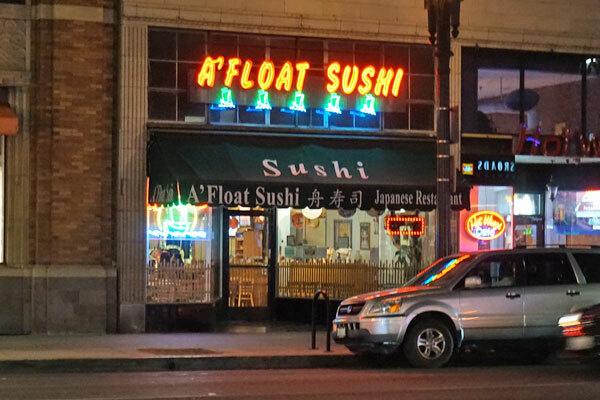 We offer amazing sushi, Japanese cuisine and Asian fusion. 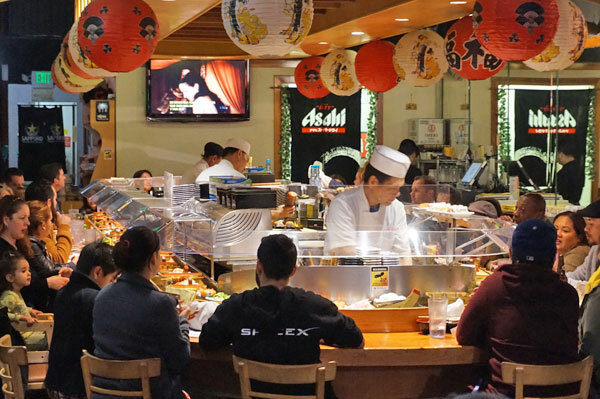 A wide variety of choices from entrees, side dishes, sashimi, sushi, noodle dishes and more. 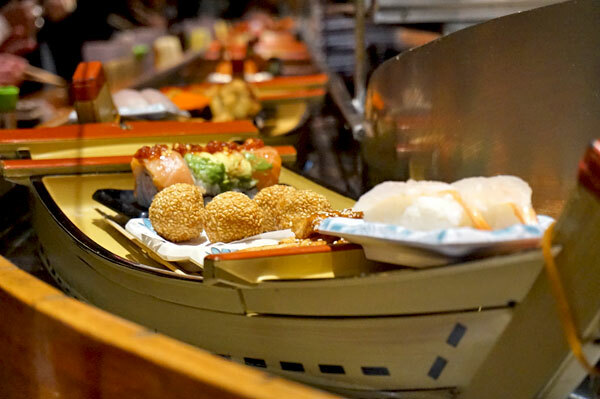 We combine great service, fresh ingredients and a tranquil setting ensure you’ll have a wonderful overall experience! 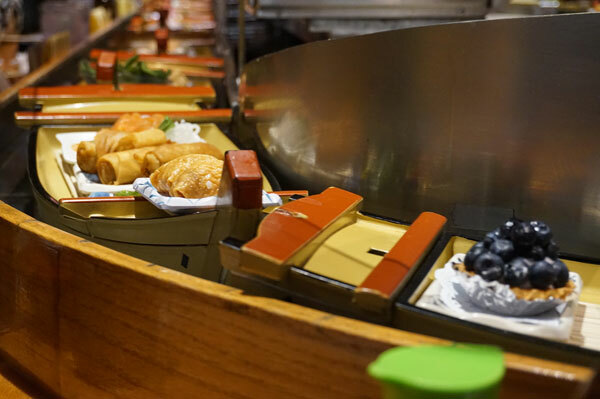 Our Sushi Boats offer a wide variety of choices. So many choices, that we cannot include them all on the menu! Do you have a special request, dietary needs are dining with a picky eater? 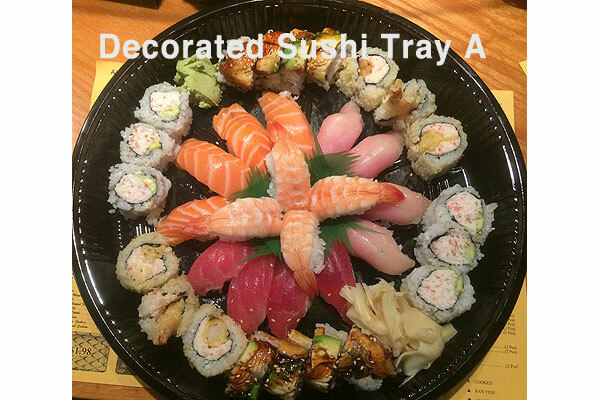 We can make unique creations and special requests to fit your dining choices. Did you say dessert? Our selection varies, but you might see fruit tart, cheesecake, tiramisu, mochi, sesame balls, banana tempura, fried ice cream and more! Monday to Friday 11:00am - 3:00pm, except Holidays. 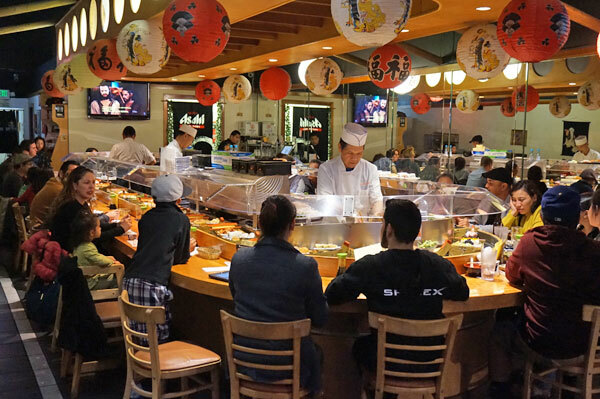 All Lunch specials above come with soup, rice, salad and one choice of: 1 - shrimp sushi (1 pc), California roll (3 pcs) or 2 - spicy tuna roll (4 pcs) or 3 - salmon teriyaki roll. Broiled chicken in teriyaki sauce. New York steak. Broiled beef in teriyaki sauce. Broiled salmon in teriyaki sauce. Deep-fried shrimp and vegetables or vegetables only. Deep-fried pork with bread crumb. Deep-fried chicken with bread crumb. Two kinds of Today's fish. With soup. 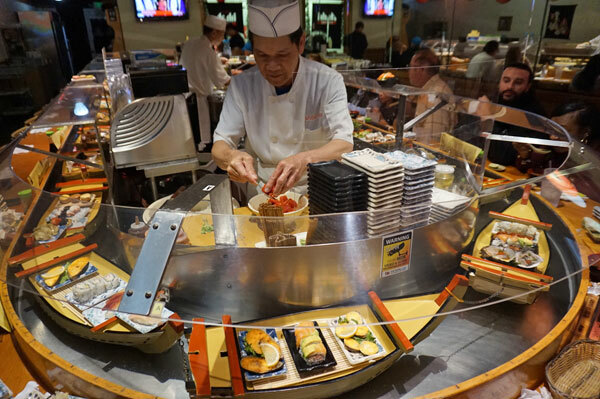 Sashimi on the sushi rice. With soup. Fresh water eel. Two or more. Tea pot soup. Allow 20 minutes. Two or more. Steamed egg. Allow 20 minutes. Jalapeno stuffed with cream cheese and crab meat. 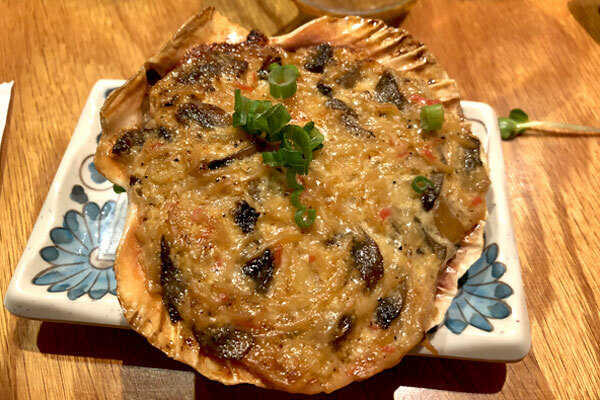 Baked scallop with mushroom and onion. Green tea, vanilla, strawberry, mango, chocolate. Crispy salmon skin and gobo. Fresh water eel and avocado. Soft shell crab, shrimp tempura and gobo. Chopped scallop with mayo and masago. Plum paste and shiso leaf roll. Egg, dried gourd yamagobo, vegetable. Avocado, cucumber, gobo, bean sprouts. Chopped scallop with mayo and smelt egg. Mini lobster with soy bean paper. Soft shell crab, shrimp tempura, crab meat, cucumber and gobo. 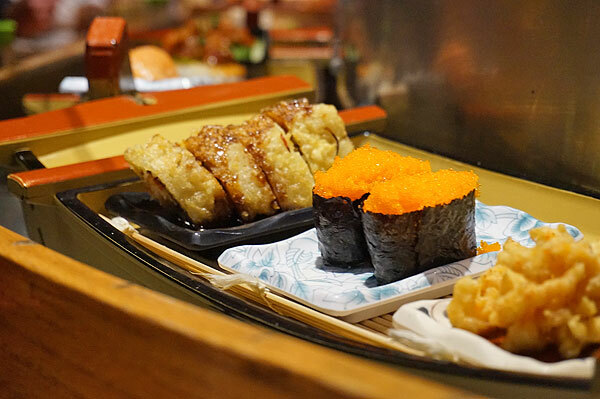 Eel, crab, and avocado roll. Cooked shrimp and avocado on crabmeat roll. Salmon teriyaki and cucumber roll. Crabmeat avocado roll tempura with eel sauce on top. Spicy tuna and cucumber roll. Salmon and cucumber with special sauce. Raw oyster in half shell. Sweet shrimp. Free head fried. Crab meat inside, salmon and avocado with spicy sauce on top. 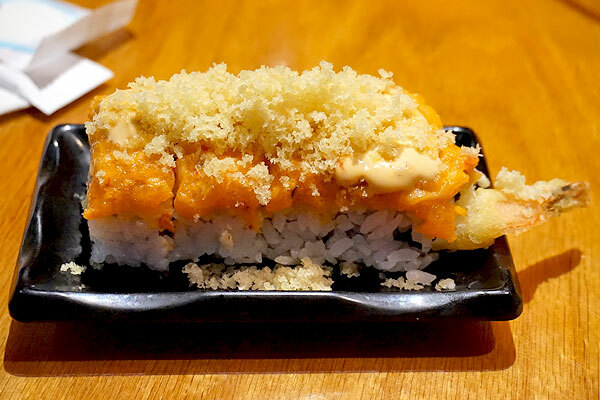 Spicy crab meat inside, with spicy salmon and jalapeno on top. Spicy crabmeat inside, avocado and spicy mayo on top. Walnut shrimp tempura and mayo. Crab meat and shrimp tempura inside, avocado with eel sauce on top. Crab meat and shrimp tempura inside, with spicy salmon on top. 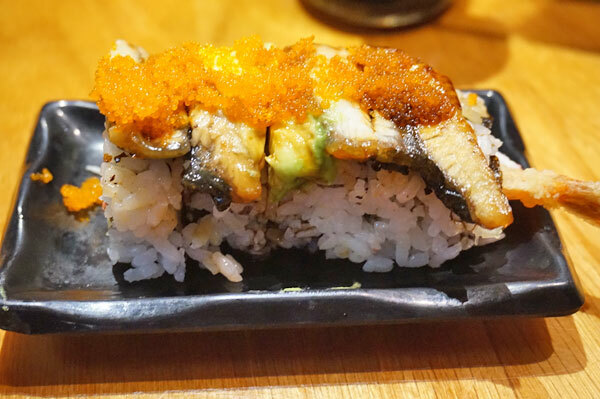 Shrimp tempura and crab meat inside, eel and avocado with eel sauce on top. 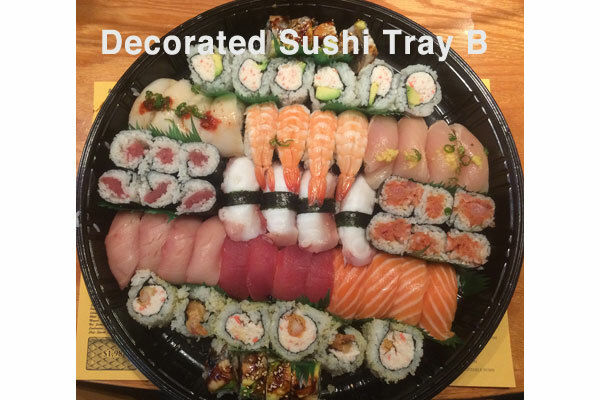 Crab meat inside, assorted raw fish on top. 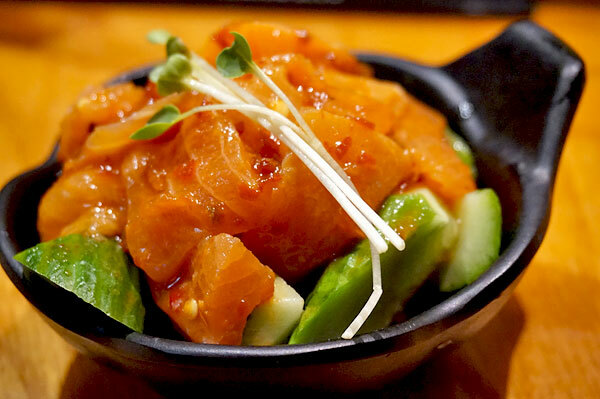 Spicy tuna inside, white tuna and green onion on top with ponzu sauce. Scallop with cucumber and green onion roll. 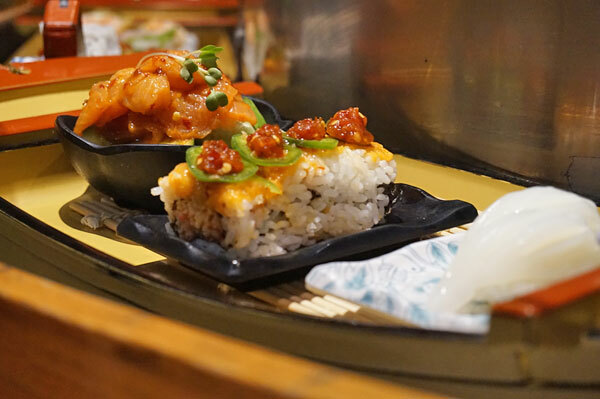 Cream cheese, spicy salmon tempura.